Law, lager and lemonade: Is the legal sector over the limit? Whitestone Solicitors / News / Legal Cheek / Law, lager and lemonade: Is the legal sector over the limit? You are at an evening presentation: the panel was great, you’ve learnt a lot and you feel like you have a chance of working at this firm. Suddenly, the beaming graduate recruitment manager steps on stage and announces that it is time for networking drinks. The young faces in the audience look right and left to their friends in hushed excitement. However, not everyone is excited. For most students networking is scary enough, but adding alcohol, something you’ve never had in your life or had very little of, makes it all the more uncomfortable. Lemonade is a wonderful drink. It’s great with a meal, great for digestion and greatly refreshing. It is also the go-to drink at networking events when almost everyone else is drinking alcohol. The problem is that for non-drinkers who have attended dozens of presentation evenings, networking events and workshops over the years, there’s only so much lemonade one can drink. As a future trainee at a City law firm, I have been to several commercial law events at various law firms and universities across London for a period of more than four years. Not once do I remember an event where alcohol was not provided. Admittedly, I have also never been to a law firm event where non-alcoholic drinks were not provided alongside the alcoholic ones. For most students this issue has probably never crossed their mind, for some, alcohol may even be the reason they’re attending. If you’re one of these people you’re probably thinking — what’s the big deal? After all, a glass of red wine at night is supposed to be good for you isn’t it? Well even that has recently been disproved in a report published last month in medical journal Lancet. The study unsurprisingly shows that no amount of alcohol is good for your health — not even that glass of red wine before bed. So is the legal sector over the limit? According to a non-drinking partner at a City law firm, who has asked to remain anonymous, the legal industry does not have a drink problem. He explained that he didn’t think it was problematic for alcohol to be served in moderation at internal, recruitment and client-facing events. For many such as the non-drinking partner I spoke to, unless society as a whole shifts its attitudes, as for example happened with smoking, there is no real possibility for a cultural shift away from alcohol in the City. The partner argued that alcohol is part and parcel of client-facing professional services such as commercial law. While he acknowledged that the presence of alcohol may be uncomfortable for some students looking to enter into the profession, he posited that students who are uncomfortable around alcohol may be entering the wrong profession. While this may seem slightly blunt, he backed up his argument by saying that compromise, adaptability and tolerance are key attributes for potential candidates and that no one is ever forced or ever expected to drink. The partner further explained that when he hosts events himself he decides not to serve alcohol, however he has been to and engaged in many events where alcohol is served. Despite not feeling fully comfortable around alcohol himself and not attending many drinking events, the partner claimed that it hardly impacted his career in a negative way and has not hampered his path to partnership. Admittedly, a ban on alcohol would seem quite extreme and arguments could then be made that law firms should ban meat because it could offend vegetarians or that eggs should be removed from the canteen to make vegans feel more included. Banning alcohol does not seem to be a practical solution nor does it seem necessary. Ultimately, law firms need to assess how students behave in social environments and events such as networking drinks are perfect for this. However, it may be worth having more dialogue involving diversity networks, clients, graduate recruitment and students to ensure that a healthy balance is struck. If it was deemed that alcohol in law firms does need to be reduced then there are several ways in which this could be achieved. Firstly, there could be a shift away from evening events towards more lunches or even breakfast events, which would reduce the scope for law firms to provide alcohol. Furthermore, more external events could be held at restaurants rather than at pubs and bars. 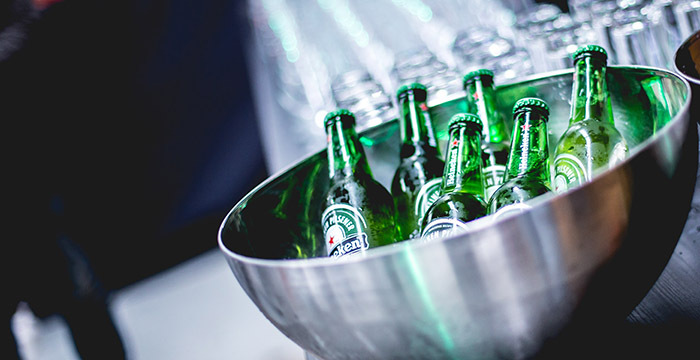 Alternatively, at internal events, firms could provide for one alcoholic drink per attendee and ensure that the rest of the drinks are non-alcoholic. It seems that the reality for non-drinking aspiring commercial lawyers is that alcohol cannot be avoided, at least in the near future. Being seen as engaged, social and a person who is easy to get along with, are important traits for wannabe lawyers. So being able to deal with potentially uncomfortable situations actually stands non-drinking students in good stead. So the take-home point for non-drinking aspiring solicitors is that it is important to engage with social events, even if they may prove to be uncomfortable experiences, especially whilst trying to get into a law firm. Once you start working in a firm, remaining social and networking is important but it doesn’t mean that you have to attend every drinks event. Striking a balance between being social and being true to who you are may not necessarily be easy but a conversation with a non-drinking partner has proved that it is definitely achievable. Ultimately, engagement and getting involved in the firm’s social life is key and just remember that while you’re sipping on your seventeenth lemonade of the week, it’s likely there will be someone in the room doing exactly the same. Soon-to-be City lawyer has a training contract lined up at a City law firm. The post Law, lager and lemonade: Is the legal sector over the limit? appeared first on Legal Cheek.